Host Cyrus Webb welcomes back author Holli Kenley to #ConversationsLIVE to discuss her new book POWER DOWN AND PARENT UP. “Power Down” on screen dependence and become fully informed about its growing health concerns and consequences. Did you know that one in five children are cyber bullied? Did you know that many bullies are victims first? The more proficient young people become at technology paired with the more time they spend with electronic communication increases their risk for being targeted. Many adults spend very little time teaching their children safe on-line behaviors and some parents have no guidelines what so ever. Holli Kenley, M.A., MFT, Recovery Expert and author of the book, Cyber Bulling No More returns to The Lifes Dash and joins host Michele Mattia to discuss parenting a high tech generation. Cyber bullying is rampant. Every day children are being humiliated, violated, and degraded through the use of electronic devices. Young people are frightened and don’t know where to turn. Parents are frustrated and unsure how to help or how to protect their children. Join Michele and Holli at 2pm ET as they discuss children’s readiness for technology, contracts and education for parents to consider for their children as they introduce or allow entry of new technology into their lives, cyber bullying and victimization, as well as internet resources for parents, with tools for protection, interventions and prevention. If you have questions during the show, call the studio 714.333.3349, email Connect@MicheleMattia.com, or post on Michele’s Life Design Facebook page. 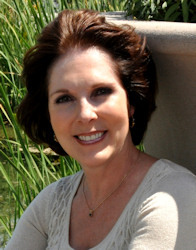 Holli Kenley is a California Licensed Marriage and Family Therapist . She holds a Master’s Degree in Psychology with an emphasis in Marriage, Family, and Child Counseling. She has worked in a variety of settings: a women’s shelter, a counseling center and in private practice. Counseling with adolescents, teens, young and older adults, Holli’s areas of training and experience include sexual trauma, abuse, addiction, codependency, domestic violence, betrayal and cyber bullying. Holli is the author of numerous published articles and in 2010, she authored her second book, Breaking Through Betrayal: And Recovering the Peace Within. Recently released are two e-singles: Betrayal-Proof Your Relationship: What Couples Need To Know And Do and cyber bullying no more: Parenting a High Tech Generation. In addition to her work as a therapist and an author, Holli enjoys speaking at workshops and conferences.